As part of a campaign with American Sweet Potatoes to celebrate International Sweet Potato Week (from 1st – 13th April), I’ve been challenged to create a series of recipes showing how versatile and delicious sweet potatoes are. I’ve always been a huge fan of the bright orange root vegetable, whether blended up and used in sweet baking or simply baked as a jacket potato, cut into wedges or mashed with chilli flakes…The opportunities are endless! 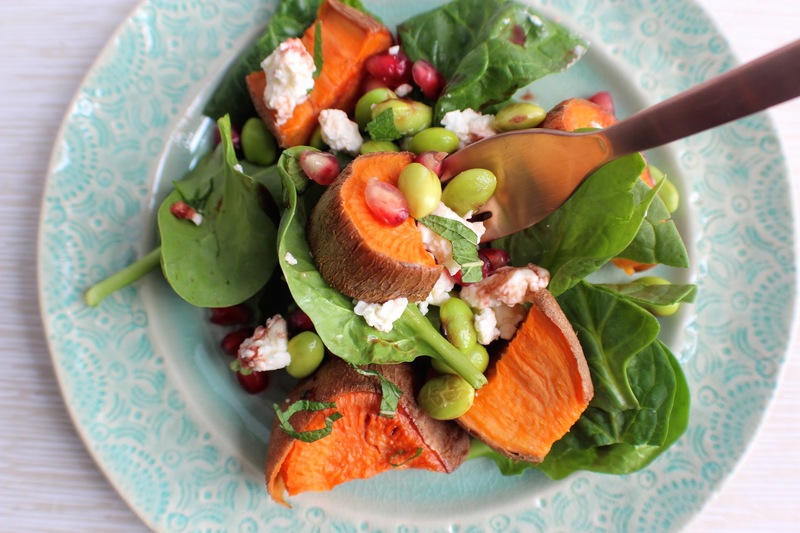 What’s more, sweet potatoes are a great source of essential nutrients, including vitamins C and A, potassium, manganese and copper, all needed by our bodies to keep them in tip-top condition. 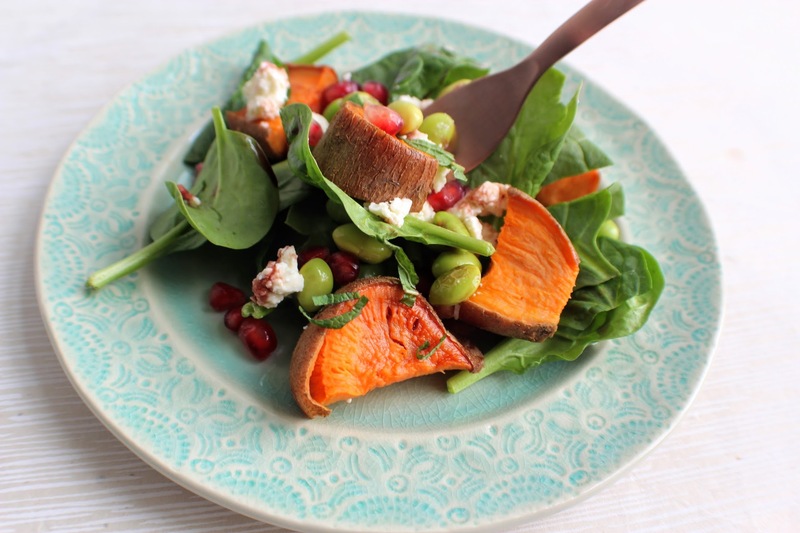 First up is this simple but delicious salad recipe, ideal for a lunch or light dinner as the weather gets warmer and evenings are lighter. 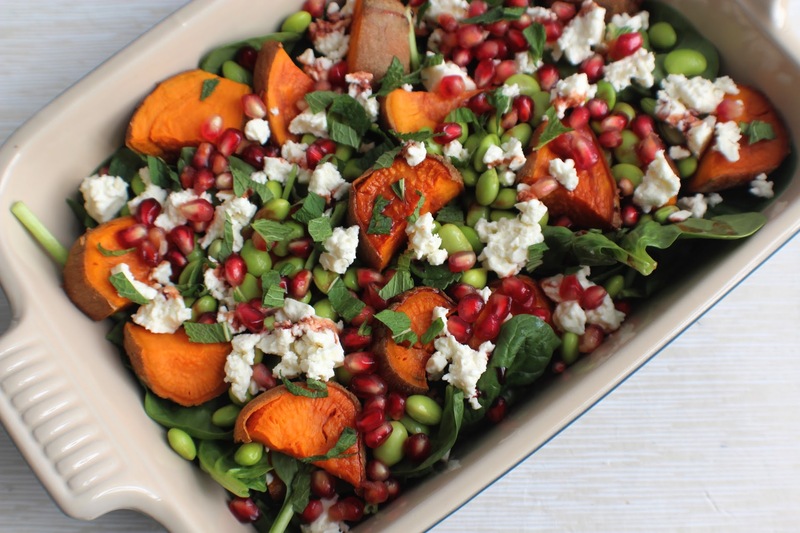 Vibrant, colourful and bursting with goodness, the combination of the sweetness of the pomegranate and potato, sharpness of the feta and texture of the beans is a winner! Parboil the sweet potato chunks until slightly soft. Preheat the oven to 190 degrees C. Place the sweet potato chunks in a baking dish and drizzle with the oil, salt and pepper – give them a good toss. Bake for 20 minutes then leave to cool (keep in this dish to serve). 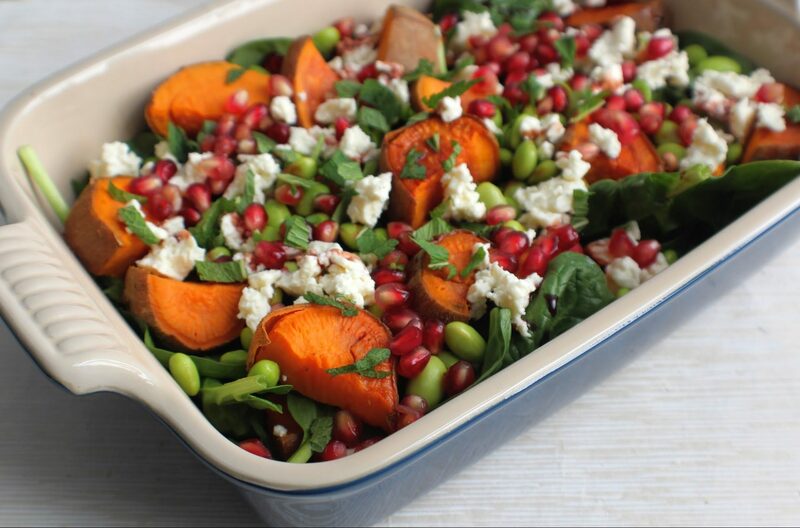 Once cooled, throw in the edamame beans, spinach leaves, feta and pomegranate seeds and toss to coat in any excess oil and seasoning. 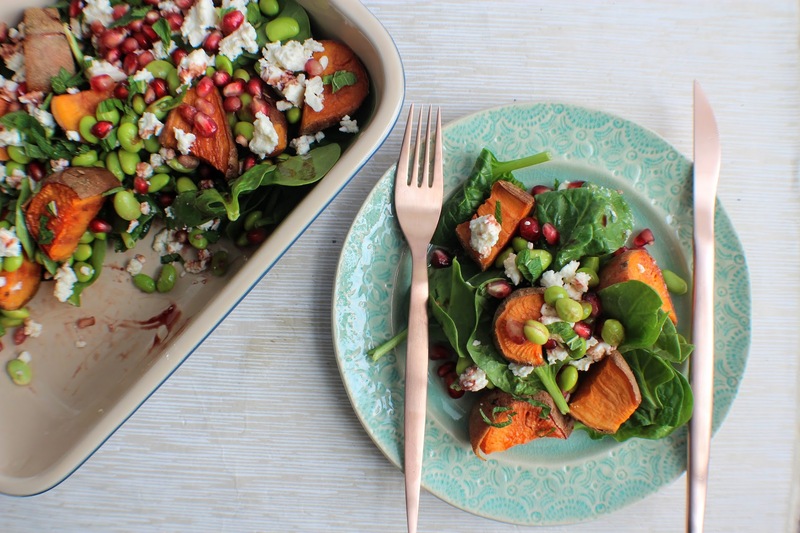 Now drizzle over the pomegranate molasses, scatter over the mint leaves – and serve!